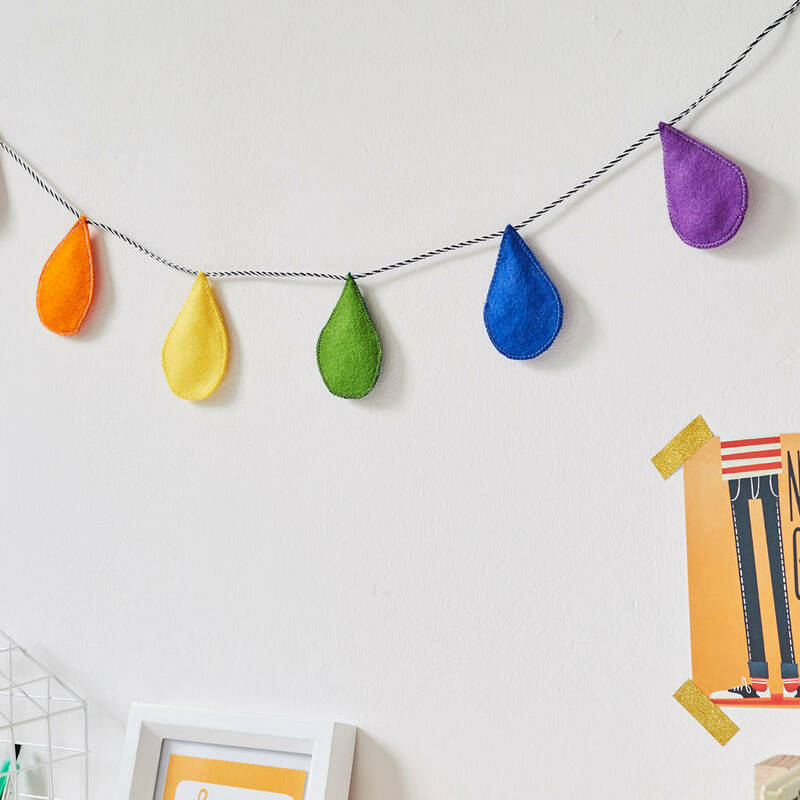 Raindrop garland for a baby's nursery or child's bedroom. 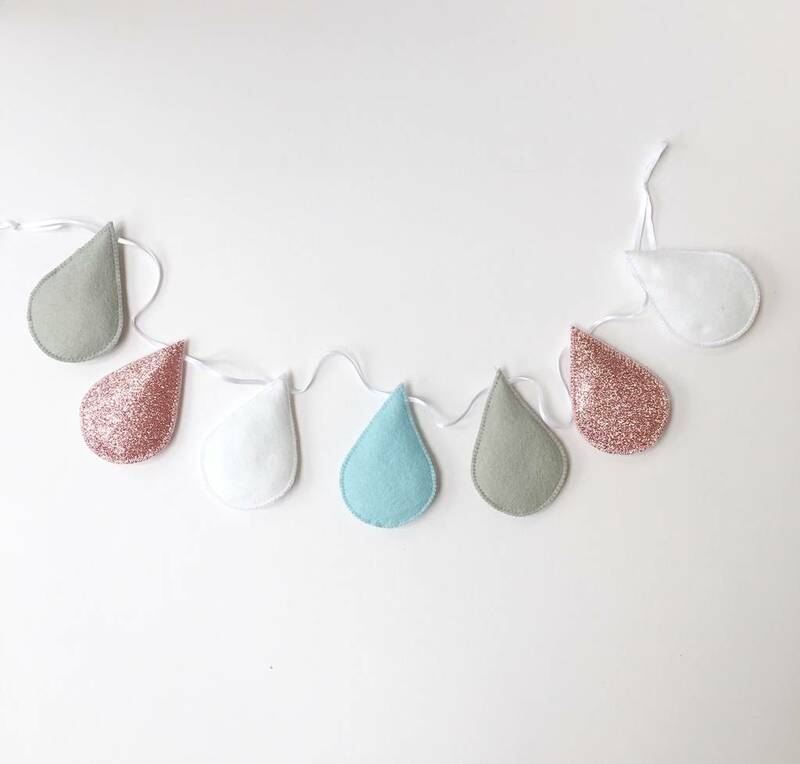 Made with 7 or 14 felt raindrops. 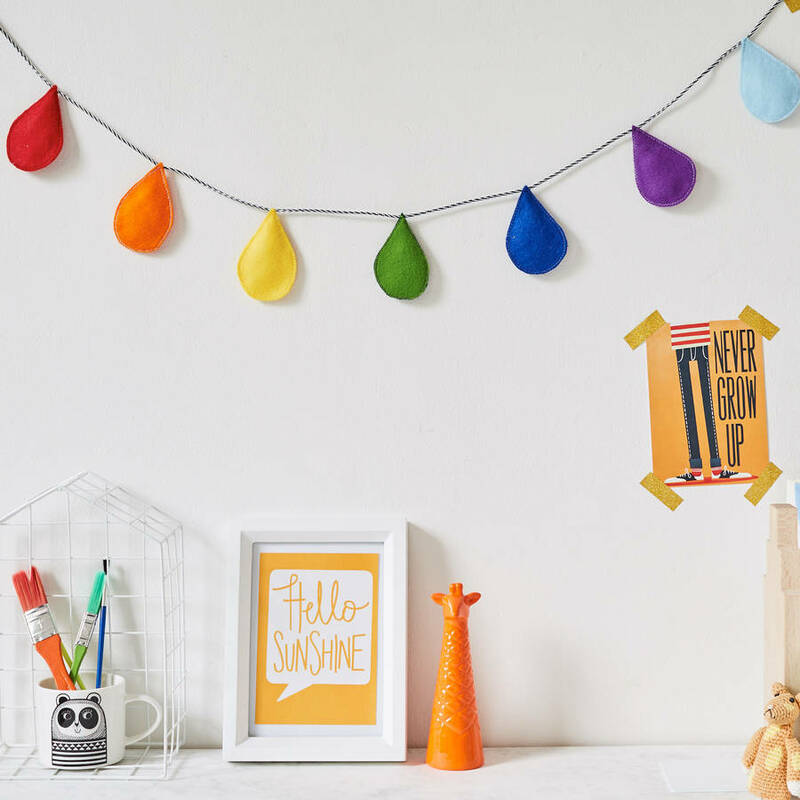 It would make a lovely baby shower or new baby gift and is the perfect way to brighten up a nursery with a delightful pop of colour. 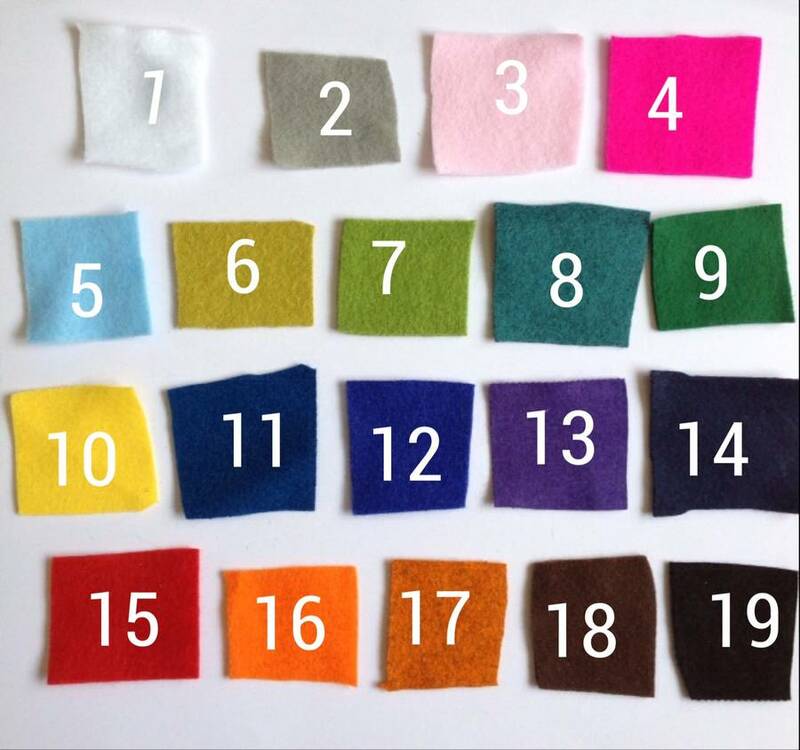 All of the items in my shop are made by hand to order. Custom requests are welcome. Please use the 'ask seller a question' button. 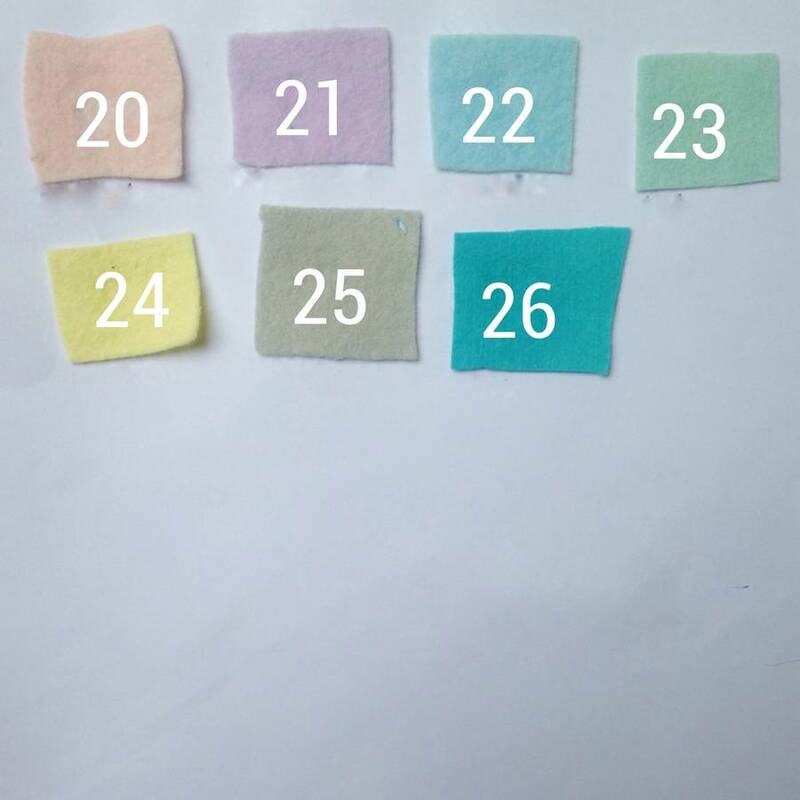 Available in small (7 raindrops) or large (14 raindrops) and in rainbow colours or blue, white and grey or pink, white and grey. This product is dispatched to you by The Secret Craft House.